Views, Views, Views! Stunning 1-bedroom condo located on the 27th floor boasts incredible S + SW views! Features exceptional private office with built-in Murphy bed, floor-to-ceiling windows, privacy shades, balcony, custom closets, recessed lighting, laminate and new water heater. Updated eat-in kitchen has white cabinetry, granite, gas range. 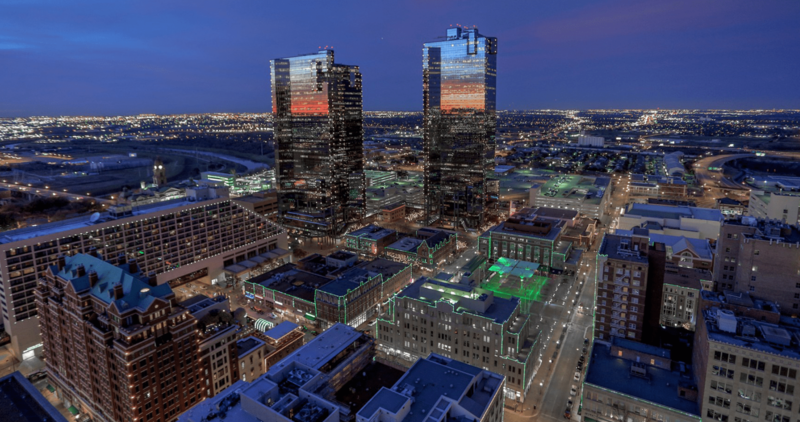 FW's premier high-rise located in Sundance Square offers 24-hr concierge, pool, spa, fitness; steps to restaurants and shops.